“If European countries agree with the US initiative to recognize the Acting President of Venezuela to Guaido, the fundamental norms of international law that were developed at the United Nations many decades ago will be revised, I would even say ground out. The principle of non-interference in the internal affairs of sovereign states was enshrined in the UN Charter, and this is, in fact, the cornerstone of modern international law. 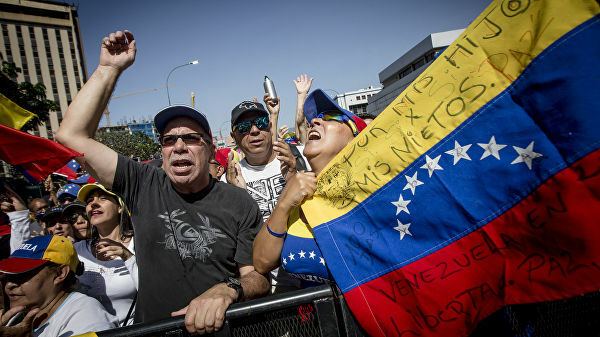 If it does happen, then, of course, it will cause great unrest in Venezuela and Guaydo will be able to take the protesters to the streets, Maduro will cause his supporters, all of which is fraught with civilian clashes that could lead to big victims. Therefore, we proceed from the principle of non-interference in the affairs of sovereign states, and we believe that the Venezuelans should be given the opportunity to sort out their own internal conflict. If a military coup occurs, and somehow the third forces can force the military to take the side of the opposition, then there can be a change of power, but this is, of course, a pessimistic scenario, since we believe that it is necessary to proceed from the principles of democracy and the rule of law.